Nothing like the holidays to make you lose focus. Between family and friend get-togethers, cooking mass amounts of food, baking too many sweets, drinking too much (let's be real here) and holiday shopping - and meanwhile it's dark outside all the time while you're doing all of these things - it's easy to feel overwhelmed and to lose motivation in other areas of your life, whether it's at work and/or your side hustle. This is the time when it's important to rely (heavily) on your planner and to maybe look up a motivational quote or two. 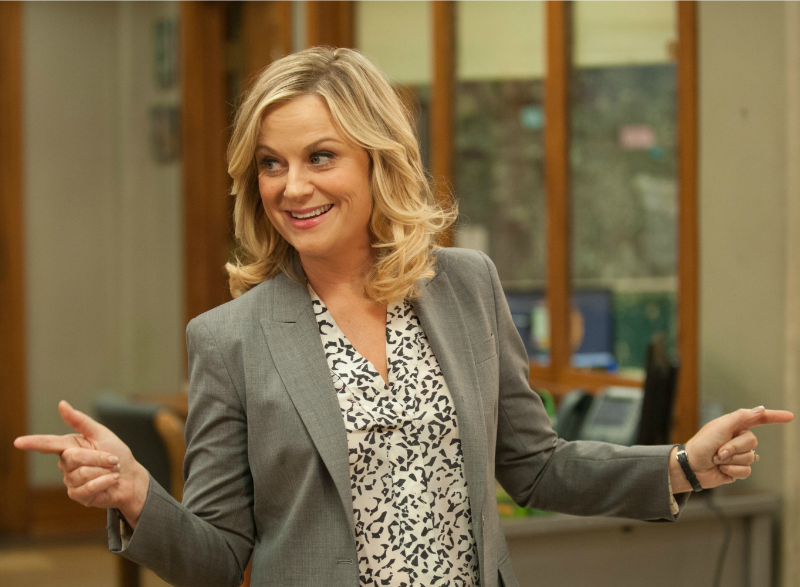 And who could be more motivational than Parks and Rec's, Leslie Knope? Nobody. That's who. 1. "Go find your team. Get to work. Whatever that work is that you find worth doing. Do it, and find some people to love who'll do it with you." 2. "What I hear when I'm being yelled at is people caring really loudly at me." 3. "I am a Goddess. A glorious female warrior." 4. "I am big enough to admit that I am often inspired by myself." 5. "You go big or you go home." 6. "Hey Leslie. It's Leslie. Hang in there. I love you. Bye." 7. "Hobbies? Organizing my agenda. Wait. That doesn't sound fun. Jammin' on my planner!" 8. "Winning is every girl's dream." PS: If you haven't see Parks and Rec yet please go binge watch all of it on Netflix. This is the only legitimate excuse for not getting anything done. (I'm joking - kind of). GIFs from parksandrecquotes, tvcriticism2014, headoverfeels. All images are owned by NBC.